Volunteering simply requires ideas, passion, and a belief in something larger than yourself. 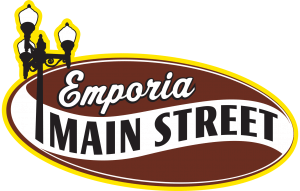 Emporia Main Street, like many organizations, is highly dependent on volunteers to achieve success. We have an endless list of projects and a small staff, so volunteers are a must. Volunteering has many benefits for the people giving their time or talent. The right match can help you to reduce stress, find friends, connect with the community, learn new skills, and even advance your career. Giving to others can also help protect your mental and physical health. Connecting with an organization can be intimidating, especially if you aren’t sure who to approach. We offer a few tips and tricks to find the best volunteer opportunity for your individual skills and preferences. – Research the causes or issues that are important to you. Look for a group that deals with issues about which you feel strongly. – Consider what you have to offer. If you enjoy outdoor work, or like to teach, you may want to look for a volunteer opportunity in which your special skills can be utilized. Similarly, if you have limitations, don’t let that stop you from giving back. There is more to volunteering that physical labor. Many organizations have projects that can be completed from a desk or over the phone. -There’s no need to wait to be asked. There are many ways to find organizations that are looking for volunteers. Ask your friends or colleagues about their own volunteering activities. If there is an organization that you find interesting, you can typically make a phone call and ask about opportunities or you can visit their website and see what they have posted. Many non profits feature volunteer options on their homepage or under the About Us Section. -When you find an organization that is in line with your interests, request an interview and plan for it in much the same way that you would plan for a job interview. Be prepared to ask your interviewers about their organization and the benefits they offer to their volunteers. Also ask about their on boarding process. The organization you are volunteering at should offer you direction when you get started. If you are not comfortable with the task at hand, just ask for assistance. Training will help both you and your organization in the long run. -Would you like to learn something new? Consider whether the organization offers training or professional development opportunities for their volunteers. – Find the volunteer activity that fits your schedule. Organizations need different levels of commitment for different types of volunteer activities. Serving as a mentor, for example, will require a regular, intensive commitment, while volunteering for a walk-a-thon is a seasonal commitment. And once you do commit to helping, make sure to stick with it. Like we stated earlier, many organizations rely on volunteers so if you have to bail last minute it can really put them in a bind. -Volunteer with friends or as a family. Think about looking for a volunteer opportunity that would be suitable for parents and children to do together or a group of friends. Getting kids involved at an early age helps them gain life skills and the understanding of others needs. If you are looking to increase volunteers at your agency, having a plan in place can help you create the most impact. Several members from Chi Omega volunteered at The Taste this year. – Have one person/employee coordinate activities can help streamline your process and allow for a point of contact for your volunteers. -Develop a volunteer application that captures contact information and availability of the people interested in spending time with you. -Create an on boarding/training process. Information within this should include information about your organization or business, contact information of the volunteer coordinator, and descriptions of what projects/tasks the volunteers will be working on. -Most importantly, say THANK YOU! Remember that these volunteers are giving their time to help you with an objective. You want to make sure your volunteer feels valued and has an enjoyable time when they are with you. -Covering volunteers within your liability insurance is a good step to protect your business. While employees are usually covered under business polices, it is also good to make sure your volunteers are too. From cleaning up after events, tending to gardens, to stuffing envelopes or calling event participants -every act of volunteering can make an impact. Main Street volunteers come from all walks of life, every age group, and both men & women. We understand that a volunteer position isn’t a one size fits all, and that we as an organization must know how to match people with the right projects. 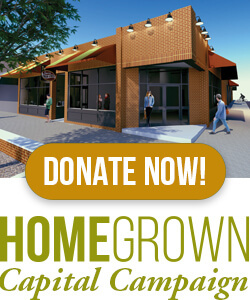 If you or someone you know is wanting to find a way to give back, please contact Emporia Main Street. You can simply stop by the office, call, or complete this Volunteer Form and email it back to us at mainstreet2@emporia-kansas.gov.